On Monday 24th of September 2018, the Akoin team arrived in New York City for the 73rd United Nations General Assembly week. In a week filled with insightful content delivered by global social activists and world leaders, blockchain emerged as an early trend and was noticed for its ability to change the world of social impact as we know it. 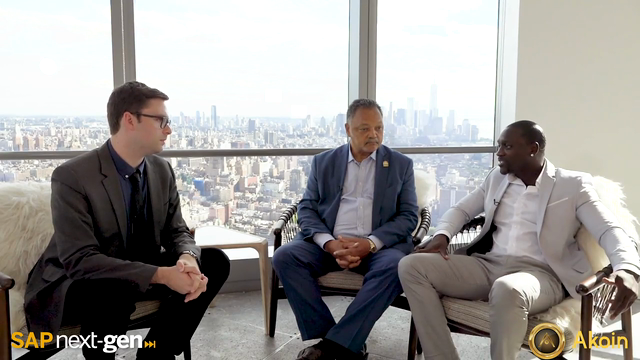 Each day was filled with meaningful connections, thought provocative talks and empowering moments, but arguably none more powerful than an impromptu interview by Matthew Hooper featuring Akon and The Reverend Jesse Jackson (shortened video above). On Tuesday September 25th, SAP opened their doors for the 3rd annual Global Goals World Cup, an initiative that uses the power of sport to inspire women and girls around the world to take action on the UN’s 17 global goals. 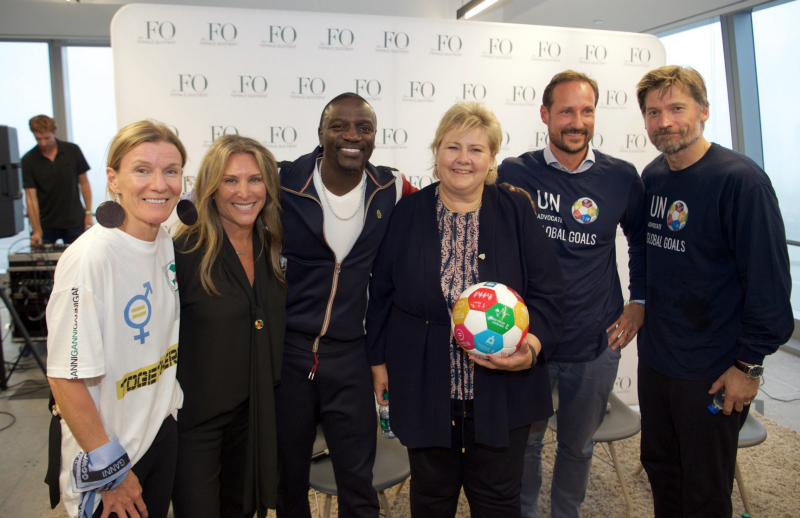 Speakers included the Crown Prince Haakon of Norway, Erna Solberg (Norwegian Prime Minster), Kristian Jensen (Danish Minister of Finance), and Global activist & Akoin Founder Akon. Wednesday 26th of September: Akon was awarded with the first ever African Renaissance and Diaspora (ARDN) award for Art and Culture in recognition of his achievements as a global entertainer, entrepreneur and social activist in support of the United Nations Sustainable Development Goals. The Akoin team were in attendance for the award during the summit where speakers included Halima Dangote and Ghanaian President Nana Akufo-Addo. 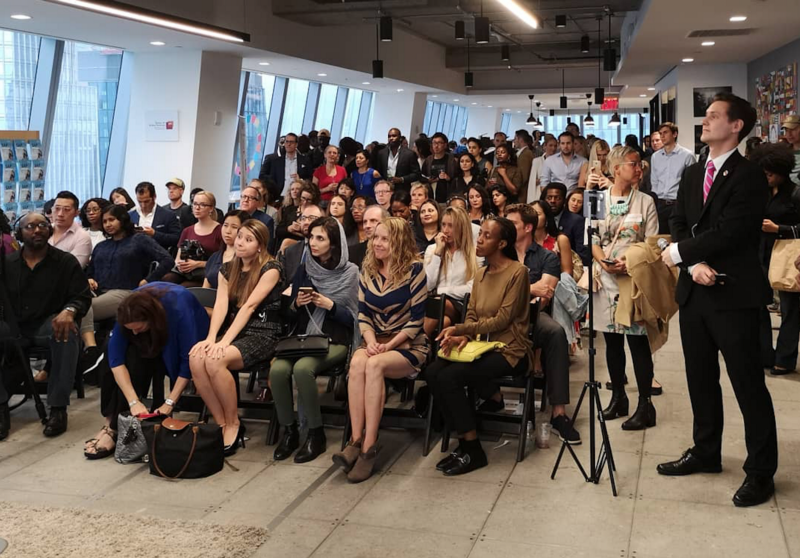 To answer this question and explore how blockchain might be a viable solution, Akoin and SAP Next-Gen teamed up to host the SDG Blockchain Festival which saw over 300 delegates attend SAP’s NY headquarters at Hudson Yards. The event was an embodiment of SDG no.17 (partnership for all goals) as attendees heard compelling keynotes from notable speakers on how innovation is being used as a driving force to change the world. These businesses of tomorrow are using blockchain technology as a tool to help end poverty, protect the planet, and ensure prosperity for all by 2030. Our lightning session featured Bitminutes VP of sales Gina Carr, impactMarketmanaging director Marco Barbosa and Chris Hayes, CTO of Gaurdian Circle. However, it was Justin Dillion, CEO of FRDM & Founder Made In A Free World who stole the crowd’s vote for the best keynote. Lottery.com’s CEO Tony DiMatteo was another highlight of the day as he broke down the company’s plan to raise and donate 3Billion dollars via sweepstakes to end world hunger. Check out our recap video above. To find out more about our new blockchain venture that will offer a cryptocurrency and DApp eco-system aimed at creating economic inclusion and opportunity for young entrepreneurs in Africa and other lean economies visit www.akoin.io.